Mr. Ruggero is a skilled trial lawyer with experience in business law. Prior to owning his own law practice, he practiced law with the Texas Attorney General’s Office and the AmLaw 100 firm of Haynes and Boone, LLP. Mr. Ruggero has regularly appeared in court in disputed matters ranging from tax and contractual disputes to oil and gas cases. 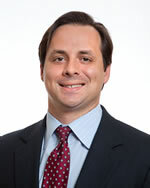 Mr. Ruggero's primary practice focuses on creditors' rights. He is regularly appointed by courts as a post-judgment turnover Receiver. Mr. Ruggero holds a Master of Laws in bankruptcy from the only program in the nation offering such degree - St. John’s University in New York City. Mr. Ruggero’s bankruptcy experience includes representing both creditors and debtors, including litigating preference and fraudulent transfers, lift stay matters, and assumption or rejection of executory contracts and unexpired leases. Mr. Ruggero has been selected as a Texas Rising Star from 2012 through 2018 by the Texas edition of Super Lawyers Magazine, an honor reserved to no more than 2.5% of Texas lawyers. The firm serves its clients by listening to and understanding their needs and then providing appropriate advice and representation. In addition to general civil litigation and business law, the firm focuses on collections, bankruptcy and commercial litigation. Copyright © 2019 Ruggero Law Firm, PC. All Rights Reserved.